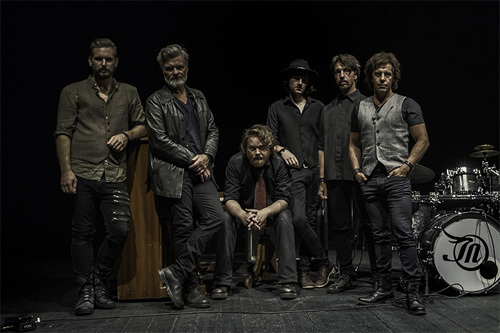 Jono is the moniker for the band formed by Swedish songwriter and vocalist Johan Norrby after a successful solo album in 2006. The band includes many veteran musicians from the European theater, including guitarist Stefan Helleblad from Within Temptation and drummer Nicka Hellenberg who played drums on Within Temptation's album The Unforgiving. As a band, Jono has released two previous albums, 2013's Requiem and 2015's Silence. 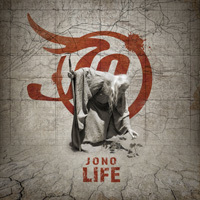 2017 finds Jono signed to Frontiers Music for the release of their third album, Life. To say Jono and their music revolves around Norrby's voice and vocal arrangements is an obvious reality with one listen. His voice both leads and follows the melody and harmony of every song, often following the piano line. But perhaps the best way to describe Norrby and Jono's music is one word: dramatic. The drama begins with Norrby's power, strength, control, and emotion. His voice is an amalgamation of rock, theater, and opera. In this sense he reminds me of a 21st century Freddie Mercury. He simply has a bold and large presence throughout this album. Then his vocal presence is enlarged and embellished by a wall of twin guitar riffage, fiery and soaring solos, light and lilting piano lines, and an enormous and bold rhythm section for a big beat and groove. If that's not enough to make things bombastic, the synths add a lush layer of orchestration. All these things come together in elaborate and epic ways with My Love, Downside, The Magician, and the grand and thrilling To Be Near You, easily my favorite song here. Conversely, Sailors, while bold, comes off more a a straight hard rock song from its riffs and groove. But then there's the closing ballad The March, where the pomp and circumstance diminishes. Instead you hear Norrby's voice over piano in strong and mysterious softness; it's nearly chilling. All in all, Jono's Life is terrific, both entertaining and compelling. And Johan Norrby is a vocal force of some reckoning. Quite recommended.